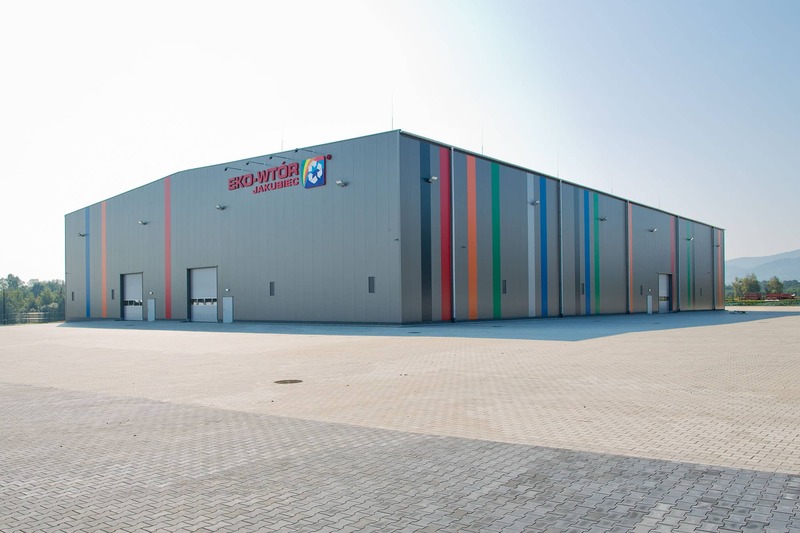 The design of a steel industrial shed with an office part for Ekowtór Jakubiec Sp. z o.o. Sp. 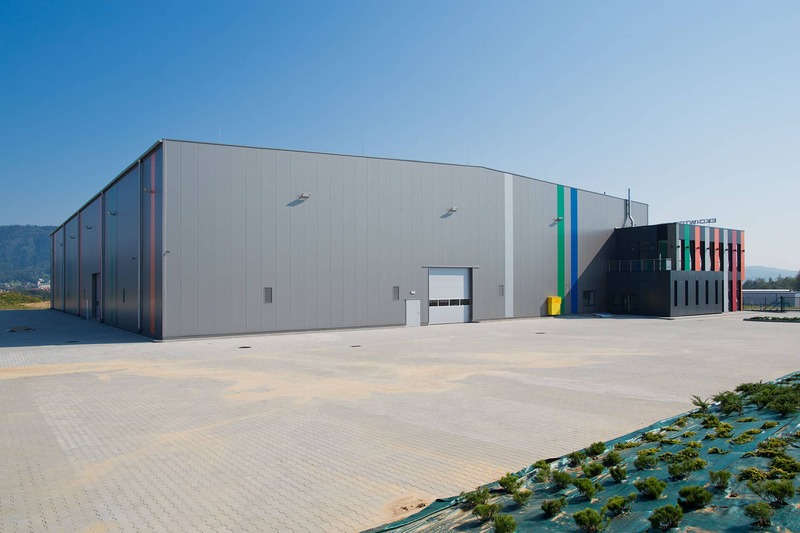 k. is under construction in the industrial zone of Wilkowice near Bielsko-Biała, next to other designs by our firm: the already completed first stage of the Lenko factory and the Adamus production plant under construction. The main recycling function is housed in the industrial shed. The employee welfare and office part supplements the primary function and houses the welfare facilities for blue-collar workers from the industrial shed and offices for the administrative staff. The entire project provides, at the same time, the registered office of Ekowtór Jakubiec. A two-storey office building is located in front of the industrial shed. Its solid is embedded in the form of the industrial shed, and a single story porter’s lodge will additionally be located next to the vehicular entrance. The industrial shed part of the building is designed as a steel frame structure with two aisles. The industrial shed is covered with a gabled roof with a slope of 5%. The main load-bearing structure of the industrial shed and the supporting structure of the roof have been designed so that they can be used as the base for a photovoltaic system in the future. The employee welfare and office building, just as the porter’s lodge, is designed to be built using the traditional technology. 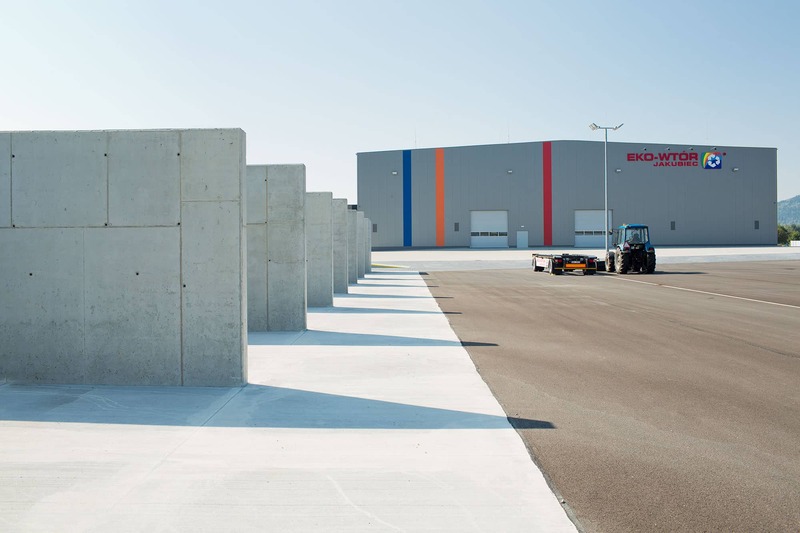 Outside walls of the industrial shed are clad in lightweight sandwich boards. The employee welfare and office building as well as the porter’s lodge are finished in a wall-cladding of Trespa panels installed on an aluminium grid. The elevation is characterised by a vertical arrangement of strips of cladding and glazing. The gentle greys of the majority of the building’s surface are interspersed with strips of vivid colours. Some of the colours are shades of copper, aluminium, titanium, steel or lead – i.e. 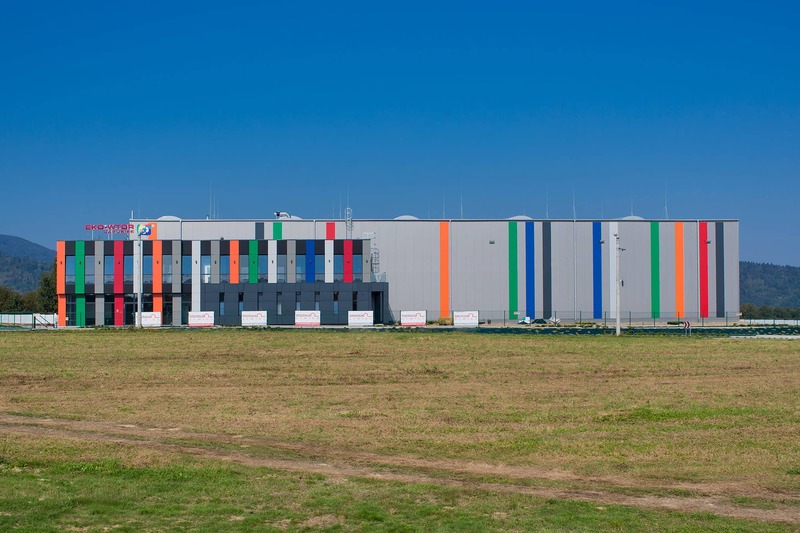 the materials recovered by the facility – and some, in lively bright colours, are reminiscent of the waste received for processing, such as the car bodies of various colours. The design idea was to produce a unique building, but also to refer to the nature of the business which recovers useful components and materials. 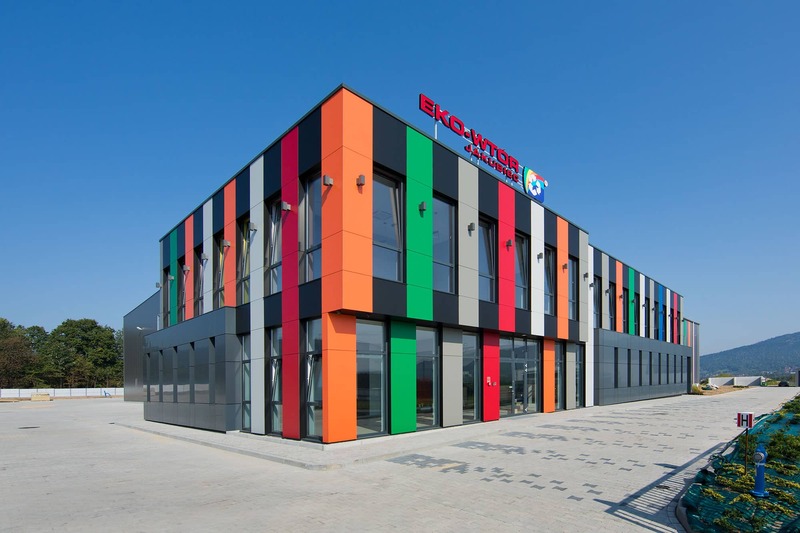 The building of this design matches the colours of the contents of the storage yard – with their individual characteristics, multiple colours and shapes – which get a new life at the Ekowtór Jakubiec industrial shed.